Early Talking Heads, with their tight, taut, highly strung guitars, meandering, fluid basslines and polyrhythmic percussion really takes some beating. I’ve written admiringly about their 4th album Remain In Light before, an album that continues to amaze and throw up new sounds even after all this time. With sonic architect Eno on ambient duties, the band are at the height of their creativity. An exercise in experimentation, the band cherry pick from the artiness of mid 70s Berlin Bowie and the disciplined grooviness of African music, Fela Kuti in particular, and weld them to the pop sensibilities of, aye, mid 70s Bowie and African music, Fela Kuti in particular. The big track from the album is undoubtedly Once In A Lifetime but dig deeper and you may find yourself with a brand new favourite album. There are many tracks that will grown on you just the same, believe me. 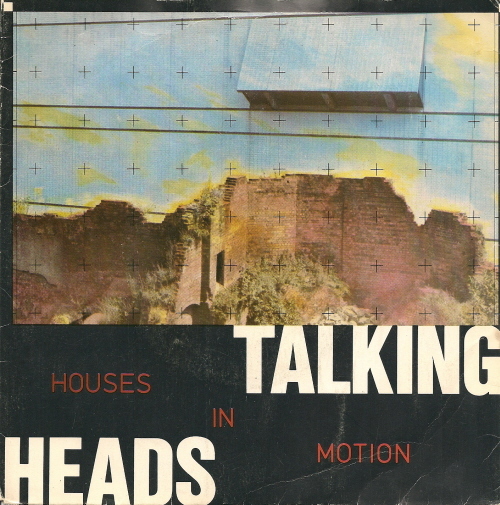 Like Houses In Motion, for example. The flop second and final single from the album, it’s the perfect juxtaposition of Sly Stone’s pitter pattering skeletal funk and the call and response paranoia of Talking Heads’ own Slippery People, still 3 years from release, but surely conceived in this very moment? It judders and jitters in all the right places, driven by scratchy funk guitar, an introspective vocal and honking keyboards. In Scotland, ‘honking‘ is often used in derogatory terms, especially at the football – see that big centre, he’s honkin’, so he is – but in this context I’m referring to the fact that the keyboards conjure up the sound akin to a midday traffic jam on 5th Avenue. A one chord groove that wouldn’t outstay its welcome were it twice as long, it’s the great lost Talking Heads track. 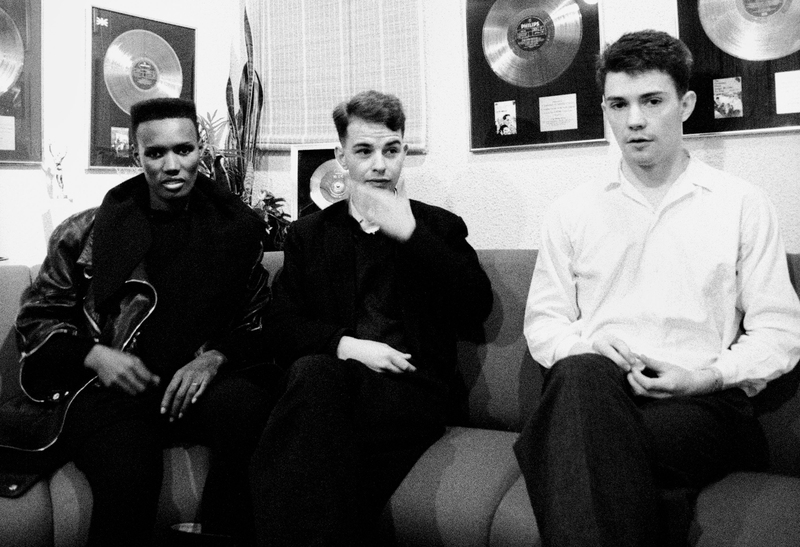 Grace Jones & ACR by Kevin Cummins. Of course. The reason I’m turning the spotlight on it is because just last week I received an email from A Certain Ratio‘s people, letting me know about the band’s own version of the track. Dug out of the archives for a warts ‘n all box set celebrating an outstanding 40 years of ahead of the curve yet under the radar music, ACR’s version sounds terrific; timeless, relevant and, like the original, far better than much of the new music that the taste makers and shapers on 6 Music etc would have you believe is worth parting with your hard-earned disposable income for. Recorded in 1980 with Marin Hannett, the track was intended as a collaboration with Grace Jones. Retaining the edgy, claustrophobic, insular mood and cat-scratching guitar, ACR still contrive to make Houses In Motion their own, slapping a fantastic O’ Jays For The Love Of Money rubber band bassline on it and adding a muscle that was absent from the original. If it popped up right now on 6 Music and you knew no better, you’d be gushing over a fresh, new track that’s older than Jordan Rakei or Loyle Carner or Chali 2na or any of those hip young gunslingers that pop up with dreary regularity. Amazingly, the version that appears on the box set and the brand new video above features ‘just’ a guide vocal from ACR’s Jez Kerr, intended to give Grace an idea of how the finished track might sound. Although Jones made it to Strawberry Studios and took part in the session, her vocals were never completed and remain frustratingly undiscovered. You can only imagine how the intended version might have sounded. 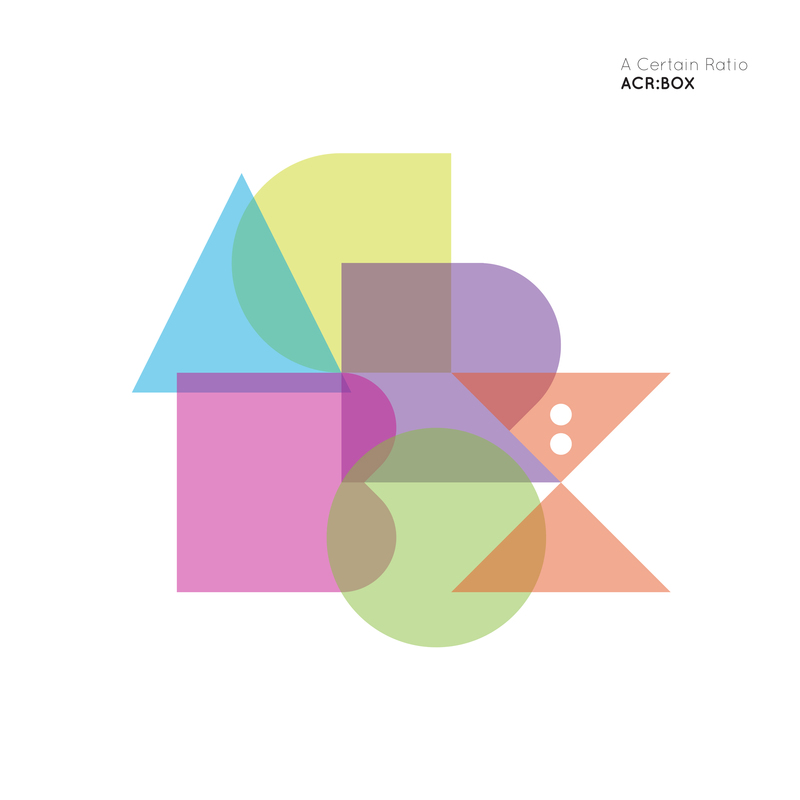 You can buy that ACR Box Set direct from here. Funnily enough, I suggested in that article linked at the top that Grace could take Talking Heads’ Seen And Unseen and make it her own, so, y’know, great minds think alike ‘n all that. Another great mind who’s also ahead of the curve is Adam over at Bagging Area. He was first out of the traps to shine the spotlight on the ACR track. It goes without saying, but Bagging Area is a blog definitely worth adding to your bookmarks and favourites and what have ye for up to the minute, finger on the pulse observations.